Close your eyes and go back in time to grandma’s house. 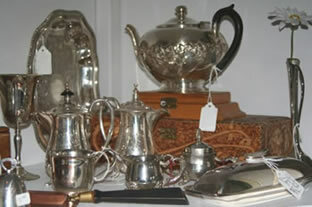 Remember all the little treasures in every nook and cranny? The ones you weren’t supposed to touch? Well now fast forward to today. 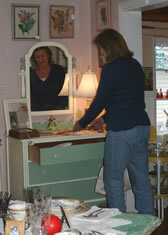 Grandma’s house is now open again and all those little treasured things are still begging you to touch them … and you can! 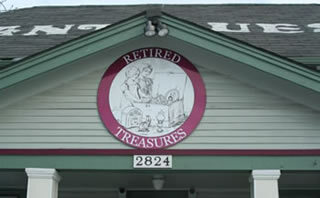 Retired Treasures is just like taking a trip back in time. 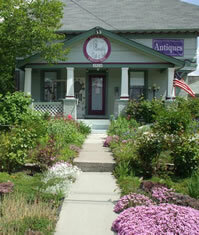 Housed in a charming 1901 stately little home, there are collectables and antiques in every corner just asking to be examined and added to your own collections. 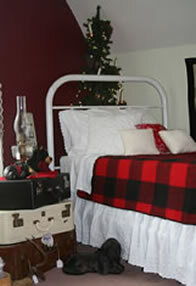 Each room of the two story house offers a different assortment of items, carefully displayed and ready to discover. 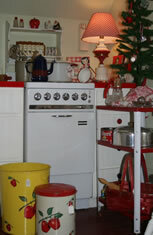 There is the lodge room with vintage linens, old suitcases, lanterns and plaid bed blankets and right across the hall is the vintage kitchen, stocked full of old utensils, pie plates, kitchen towels, pots and pans, glasses and plates. An old time children’s nursery has old time toys and the back porch over flows with chairs and tables adorned with vintage teapots. The more elegant front parlor sparkles with chandeliers and crystal while the main living room sports cases full of vintage jewelry and china tea cups. 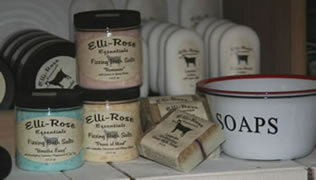 There’s even a corner of new/old thyme soap just like grandma used to make you wash your hands with before dinner! During the spring and summer months, the perennial gardens and backyard patio offer a pleasant opportunity to take a timely moment and smell the roses. Besides the wonderful rooms packed with displays of every imaginable collectable to be collected, there is the delightful woman who will smilingly help you with any question. It’s almost like having someone as great as grandma right there to guide your treasure hunting! 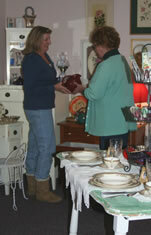 Visit Retired Treasures for a trip back in time … grandma included at no extra cost!